Ian Fleming (1908-1964) wrote the first of the James Bond novels Casino Royal in 1952. 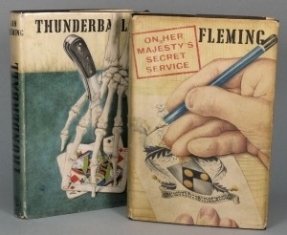 Eleven 'Bond' novels and two short story collections followed between 1953 and 1966. The novels centred around James Bond a disgruntled MI6 officer. Bond was know by his legendary code number 007. 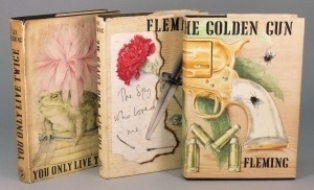 In the next Bearnes Hampton & Littlewood Antiquarian Book Auction are various Ian Fleming first editions. These include Thunderball (1961), The Spy Who Loved Me (1962) and On Her Majesty's Service (1963). There are also second editions of You Only Live Twice and The man with the Golden Gun. Each are in their original highly evocative Richard Chopping dustwrappers. Condition is all important and these have been read, so estimates are competitively priced between £200 and £350. The next Antiquarian Book Auction is to be held on 19th March 2013 at our Exeter salerooms and entries are currently being invited.